Trying to remember the story behind these, hehe. 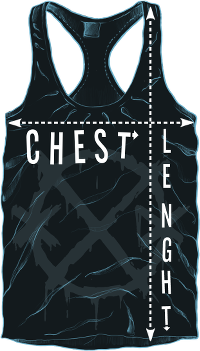 I think we needed a simple design, to bring on tour, as we were gonna use suppliers in different countries that we haven't used before, I wanted the art to be as fool-proof as possible :D.
The top is great quality, and a cool design. I love it! 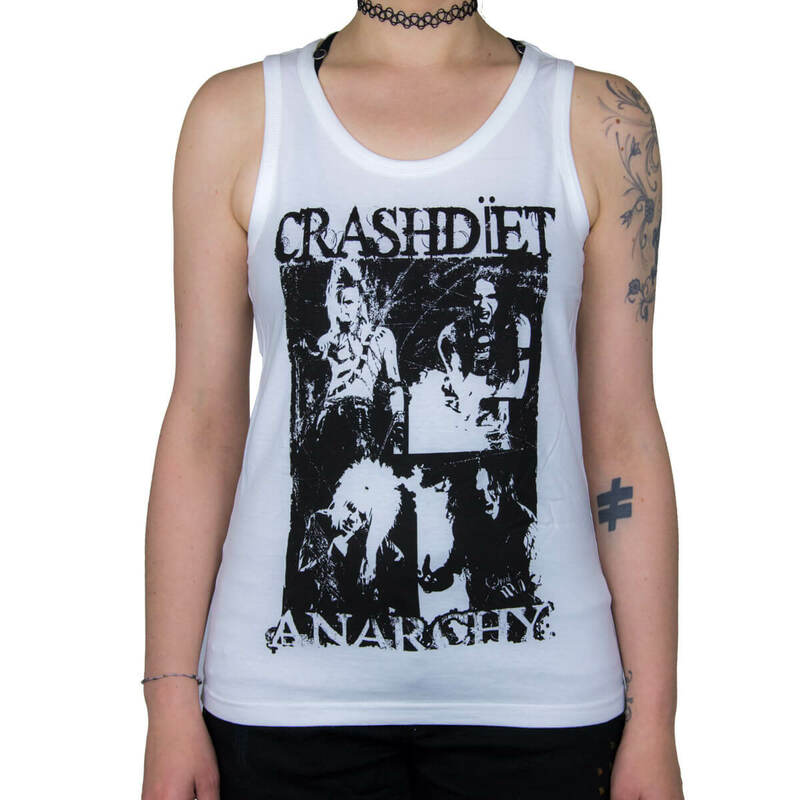 It arrived quickly as always when buying from the crashdiet store, and I got some free stickers and a pick as well :) Thank you very much! Hey, I really love my new shirt. The quality is better than you can imagine and delivery was really quick ! Just can't wait for better weather to wear it :). Some time ago i ordered another t-shirt for my cousin and he's also 100% satisfied with his stuff. Every item is awesome in this store ! And thanks for 2 free stickers - that's so nice of you ! Great quality shirt with an awesome design! Fits true to size, which is a great bonus. S 41 cm / 16.25" 58 cm / 22.75"
M 44 cm / 17.5" 61 cm / 24"
L 47 cm / 18.5" 63.5 cm / 25"
XL 50 cm / 19.75" 66 cm / 26"